« DIY bridal earrings – and save money ! An idea I thought of after I combined these elements… if you don’t want to take the time to hand-wire your beads to make this chain (it’s not a difficult technique, but to do it carefully takes time) – you could buy a simple beaded necklace with no pendant. 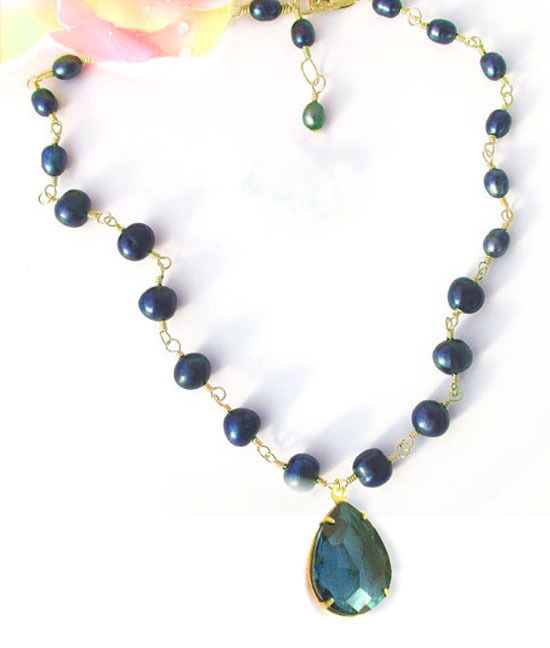 That beaded necklace could be glass, pearls, crystals, you name it – it doesn’t have to cost a lot. Then add your pendant with jump rings, or bails. Presto: your necklace is unique, and it’s yours, and it’s great!